DUVE Berlin is proud to present Ulrich Erben's solo-exhibition *Raum - Bilder*, as the final show in the old gallery space. Erben is a renowned master of color-field painting in Germany. His early landscapes are the point of depature for all his oevre. His works exhibit formal color references and focus on the relationship of the depicted three-dimensional shape to the flat plane of a canvas. At the end of the 1960s, Erben began to the move away from the formal landscape also while abandoning the complexities of color, "The motive, which was used as a basis over the years, was suddenly a ¬nuisance, even unnecessary." 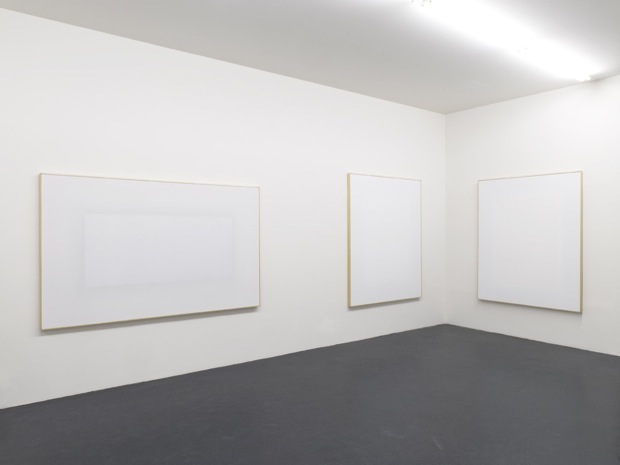 The result of Erben's moving away realist forms is the series "White Images," which where exhibited at documenta 6 (1977) in Kassel. 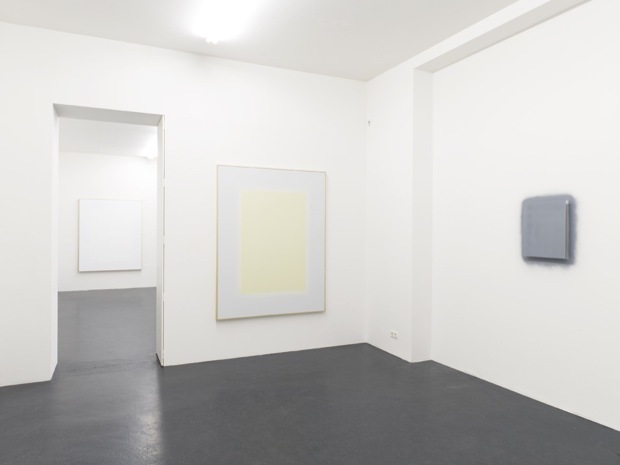 At the time Ulrich Erben personal style was associated with the genre of analytic painting. 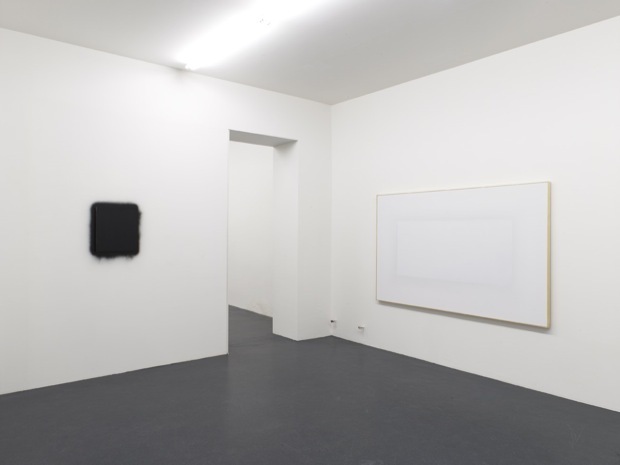 His so-called white works are by no means monochromatic images; they are painted from the desire to interpret images that are exempt from any representation and any formal association. Only the primed canvas is in contrast to the areas of slight color that are deleted with by the process of over-painting with white. 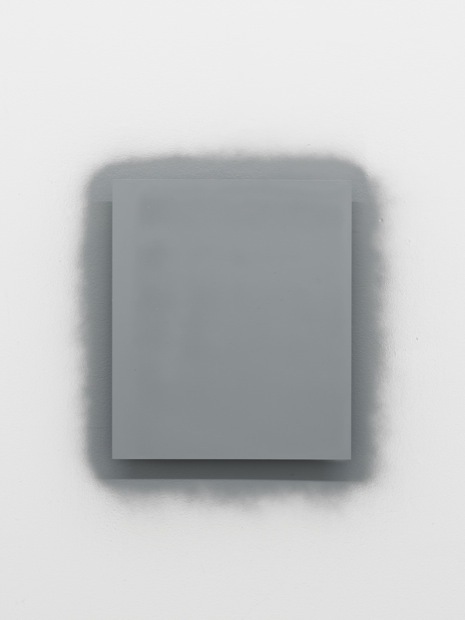 The result is images that evoke minimal shades irradiating spatial experiences and testing the limits of the eye's perception. Color is examined both in its inherent spectral quality as well as in its own materiality. Erben's works develop new visual experiences that are accessible only through slow and quiet contemplation. owards the end of the 1970s, color begins to re-enter the work of Ulrich Erben. Still the abstract themes of color and shape continue to define his work. In his reduced image-color-geometries, color and form are inextricably linked - there is no need to question whether the color determines the shape or vice versa. The artist generates each of his works interdependently developing formal and color language. Erben's colors are not controlled, but active. They react with each other. They increase and elevate each other in their effect, whereby the image area is spatially determained: Some color zones seem to float and stand out from the base image while others extend into the depth of the optical range. 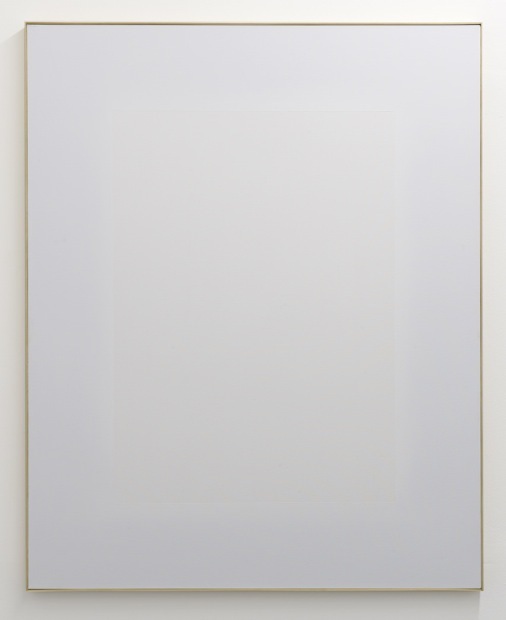 In his new reduced work, Erben seduces the viewer to specific heirs (Seherlebnis). These images require time and foster thoughtful and sensual feelings of movement. They exist npt only to be viewed, but to be experienced. Their color and shape arouses ideas, associations and mental (inner) images that allow a wide range of experiencal sensations, from quietly meditative to dynamically active, and transform the spectators into participants. 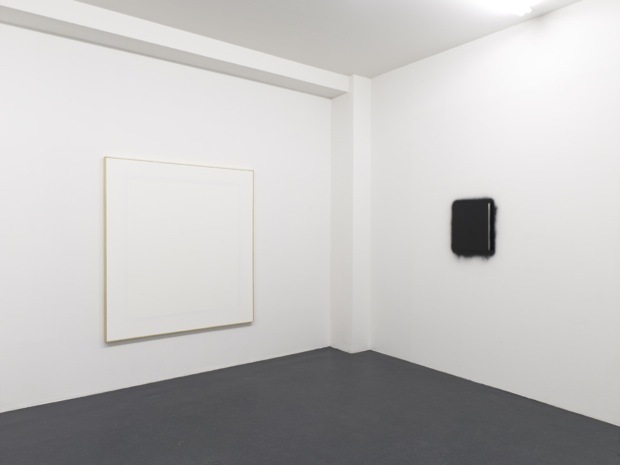 The exhibition shows all-white paintings as well as a current spray-painting, which relates to a similar iteration as a temporary wall installation in 1976. 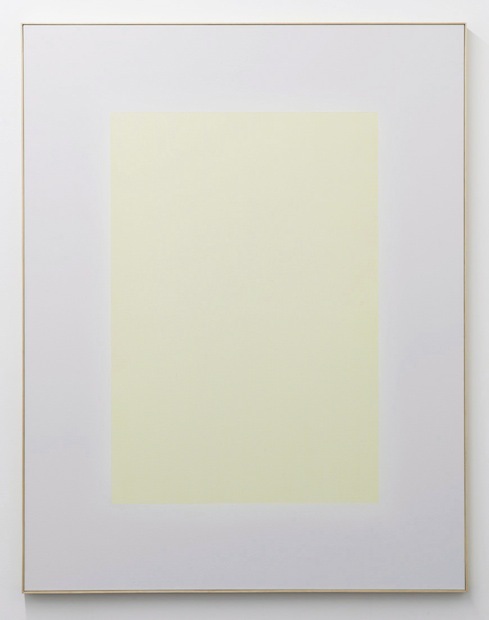 The non-white outling piece exemplifies Erben's usage of the occurrence of color from an image, either on canvas or the wall, further expanded into the room. It is a standalone precursor to Erben's many room designs and conveys a meditative aura and strong spatial effect through the visually indeterminate boarders of the colored particles. Ulrich Erben (born 1940 in Düsseldorf) lives and works in Düsseldorf. From 1958 - 1965 he studied at the Akademies in Hamburg, Venice, and Berlin. From 1980 until 2005 he was a professor of painting at the Kunstakademie Düsseldorf, Abteilung Münster. Ulrich Erben has shown in numerous museum exhibitions in Germany and abroad including exhibitions at MKM, Duisburg, Von der Heydt-Museum, Wuppertal, ZKM Karlsruhe, Wiesbaden Museum, Brandenburg Art Collections Cottbus, Duisburg DKM. He participanted in documenta6 (1977) in Kassel. 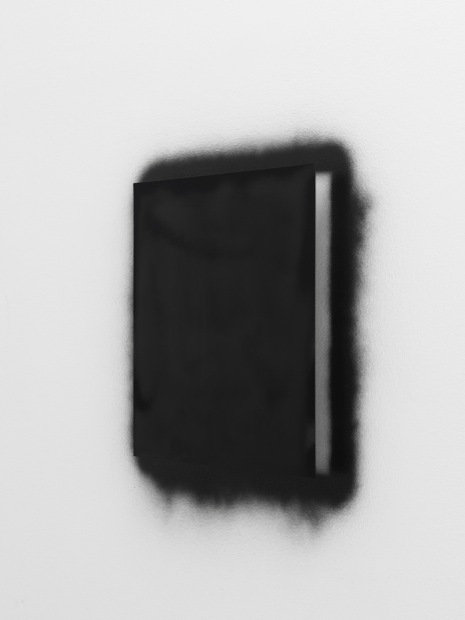 Currently, his work is shown at *Aufbruch Malerei * at the Akademie der Künste am Hanseatenweg in Berlin (on view until July 01, 2012).